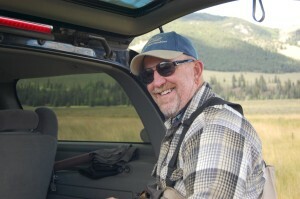 Mike Geary, owner of Healing Waters Lodge and Lewis & Clark Expeditions, will be at the Orvis Baton Rouge store event today to talk about fly fishing vacations at Healing Waters Lodge and Smith River float trips, in Montana. Healing Waters Lodge is located in the beautiful Ruby valley in southwest Montana. “Fish Central” is how we often refer to our location with easy access to the Beaverhead, Big Hole, Jefferson, Madison, and Ruby rivers; we also have quick access to miles and miles of private water on spring creeks, streams, rivers, ponds and lakes. Mike has over 25 years of successfully operating Lewis & Clark Expeditions and is the largest outfitter on the Smith River with over 26 permits and has probably, himself, floated the Smith a few hundred times. Easily. Our Smith River floats are 5-days of float fishing down 60 river miles and four nights of camping with a staff that takes care of everything for you. All you have to do is fish, enjoy yourself, and enjoy the beauty that surrounds you. Mike is available by phone, 406-459-2030 or see him in person, today, at the Orvis Baton Rouge Store.